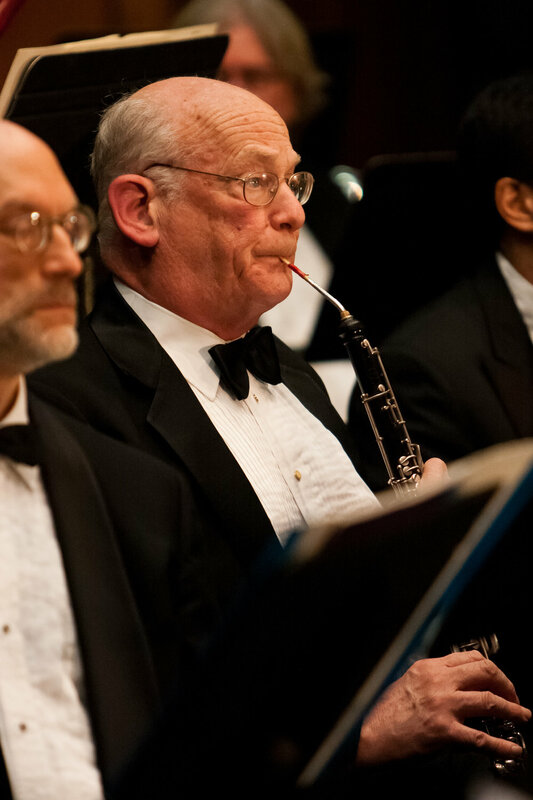 The following interview took place between Melrose Symphony Board Member, Myron Dittmer and longtime MSO oboist Carl Schlaikjer before his passing on May 7, 2018. When did you start playing the oboe? I started playing the oboe when I was 12 years old in the 8th grade. As you probably know, the oboe is a wind instrument which uses a bamboo reed. My mother played the piano and she made sure that I took piano lessons as young boy. I no longer play the piano; however, I do play the English horn and the oboe d’amore. What material is your oboe made of and describe the reed used? My oboe is made of wood although plastic oboes are not uncommon especially for beginners. Wooden oboes have a louder sound than plastic ones. The material and preparation of the reed can make a major impact in the sound quality of the oboe. I use bamboo from France to make my double reed which only lasts about a week. I took piano lessons as a young boy, and later in school our music teacher gave us a test to see what our musical skills were. Because I had excellent music concentration and playing skills, he recommended that I play the oboe – so I began playing the oboe. Do you get nervous before a performance and if so, what tricks do you use to control nervousness? I constantly practice the music and this really prevents me from having any nervousness before or during the concert. While playing, do you ever get distracted by the sound of other instruments around you? No, not really. Some instruments are highlighted during music pieces so the audience can hear their distinct sound. I always say that music is a sport with no opposing side – we all work together. No musician is perfect – it is very embarrassing to make a mistake because it can throw off other musicians who may count on your timing. If mistakes are made, you move on and try to focus on the next piece. Why do you volunteer with the MSO and do you play for other orchestras? What was your favorite music growing-up and what kind of music do you enjoy listening to most? Growing up I enjoyed music written for saxophones – also music by French composer, Georges Bizet. I thoroughly enjoy playing the oboe in music pieces by German composer, Johann Sebastian Bach. What is your favorite orchestra piece and why? My favorite music piece to play is Brahms’ Piano Concerto No. 2 – a perfect piece for wind instruments since the theme is developed by the winds. If you could have a seat in any orchestra in the world which one would it be? The Boston Symphony Orchestra under the direction of Andris Nelsons. Outside of music, what are your favorite passions? Growing unusual types of vegetables from seed. What lessons learned and inspiration would you offer children musicians? Musicians should be exposed to the inspiring music of Baroque and classical composers at an early age – they realize later in life how enriching this experience was while expanding their music tastes. Also, they should take formal lessons and practice, practice, and more practice. Any advice for adult musicians? What are some of your fondest moments playing with the MSO? Playing with such gifted musicians as Rosemarie Hinkle, Randy O’Keefe, Shu Satoh, and others.